Yesterday Paul and I met Kit (Dreamscribe) for coffee at a a cafe called Jampacked. The cafe is in the old IXL Jam Factory which has been re-built to enhance the wonderful sandstone bricks carved by convicts. Aboriginal art is displayed on the walls along with modern styles. 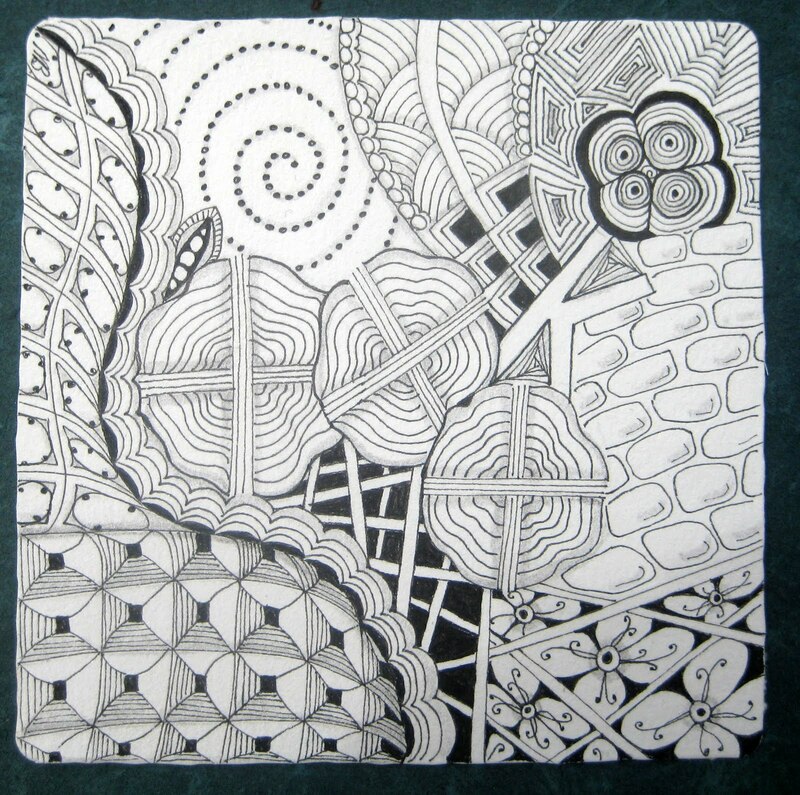 We absolutely loved seeing Kit's beautifully delicate and intricate Zentangles. I wanted to jampack this tile with special memories of our morning together. For more on that topic: Coffee with Michele with ♥ from Kit. Love the bricks and multi-scalloped border. What a wonderful visit you had! And that's quite a lovely tile. 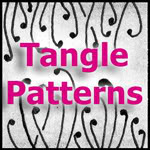 Lots of unfamiliar tangles for me to try sometime. How fabulous !! 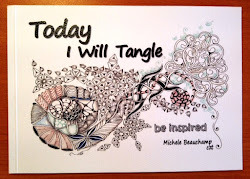 :) .. both the coffee and the tangle !!! Making new friends sure is special! 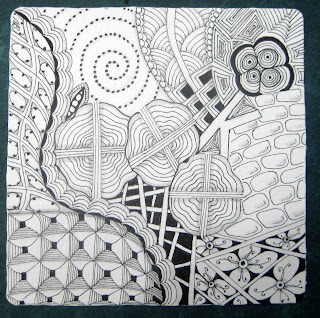 The tangle in the middle is actually Laura Harms' Kofeform which in German means having or going for coffee. I thought it quite appropriate! !